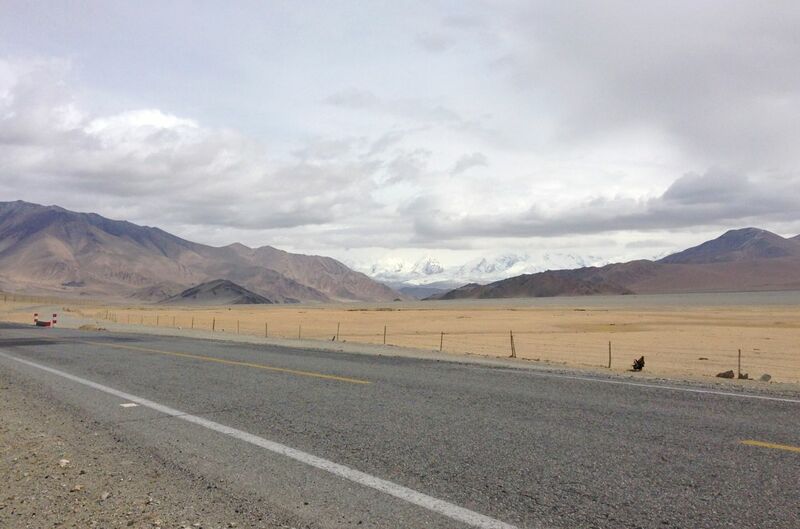 After Ürümqi and Kashgar, we continue on our adventure through the Xinjiang Uyghur, China’s Westernmost autonomous region. 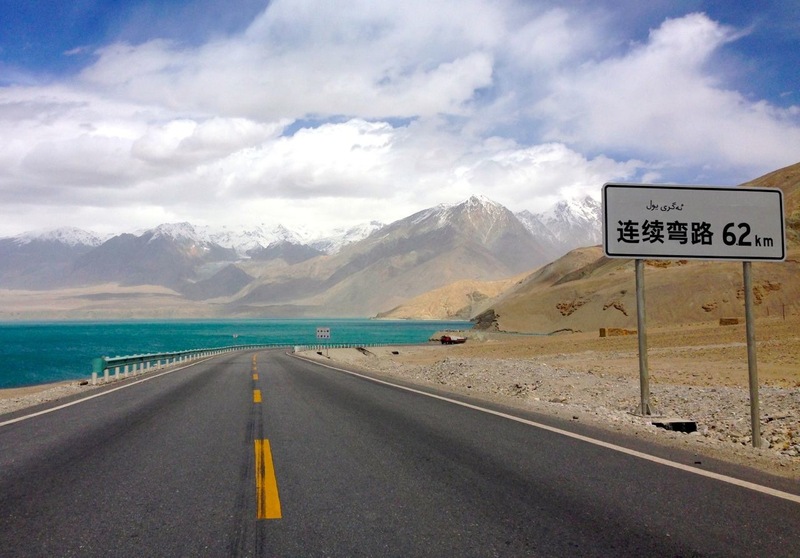 Today we take the legendary Karakoram Highway on the Chinese side for 450km between Kashgar (altitude 1.260m) and the Khunjerab Pass on the Pakistani border (altitude 4.690m). The Karakoram Highway is sometimes referred to as the world’s eighth wonder as it is the highest paved road in the world. It took 20 years to complete (from 1959 to 1979) and is open to public since 1986. The pyramid-shaped mountain in the back is the K2, the world’s 2nd highest summit. The sights from the highway are simply unbelievable, with mountains climbing very, very high indeed on each side of the road. 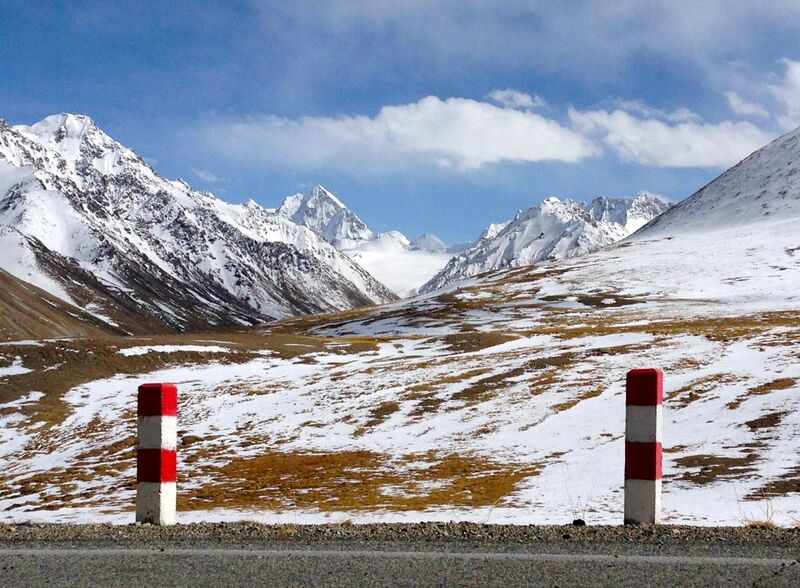 Actually you can’t climb much higher: a few hundred metres before arriving to the Khunjerab pass you can clearly see the K2 on the horizon, the 2nd highest mountain in the world after Mount Everest at a towering 8.611m… Other notable mountains bordering the Karakoram Highway include the 7.611m Kongur (only conquered in 1981) and the 7.546m Muztagh Ata. 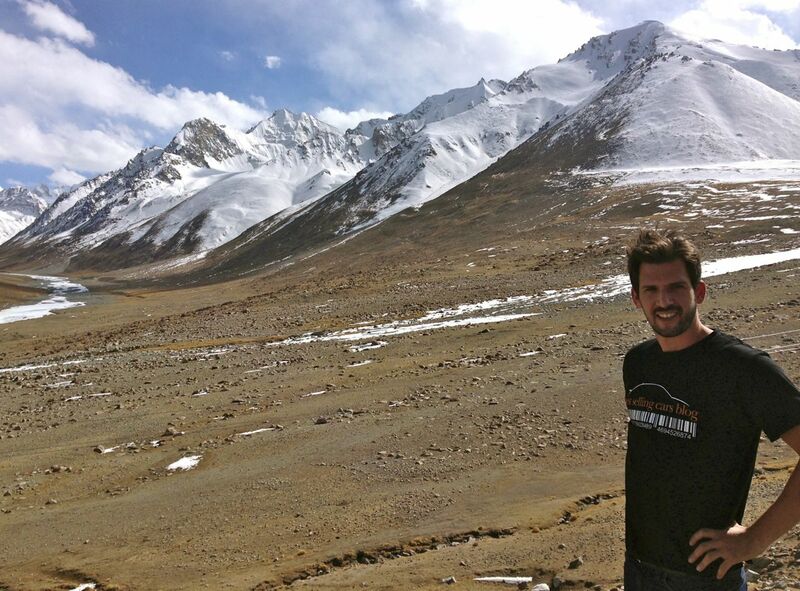 Wearing just a BSCB tee at 4.700m altitude… What I’d do for you dear readers! One other fascinating aspect of travelling on the Karakoram Highway is going through a mosaic of ethnicities: from Bulong lake onwards the population is Kyrgyz, then after Karakul lake we enter the Tashkurgan Tajik Autonomous County with most women wearing a distinctive squarish hat and red dress. 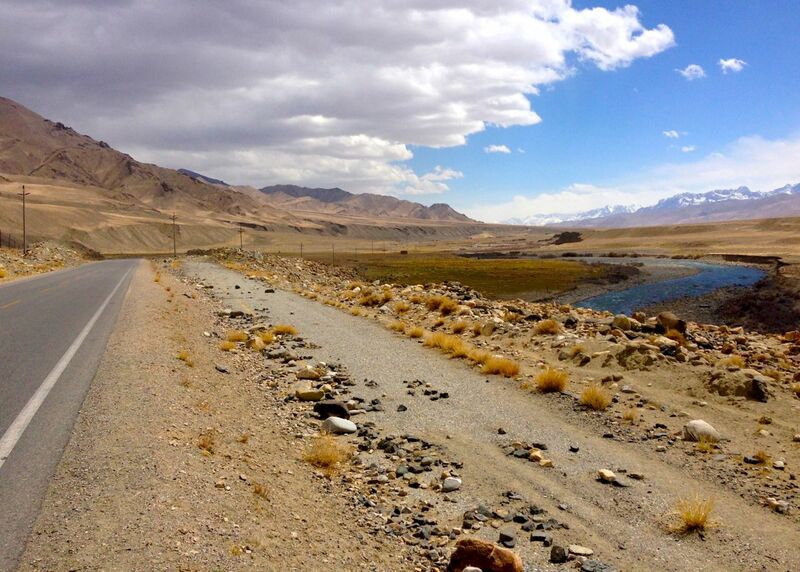 In fact the Tajik border is only about 60km away at Tashkurgan but the crossing is forbidden to foreigners. 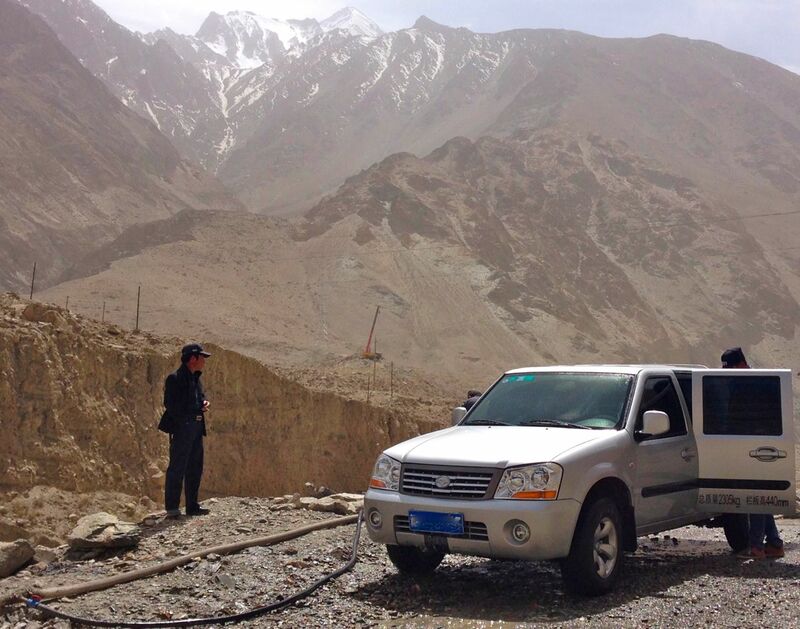 Thanks to Old Road Tours I was able to hire a car and driver to go on the Karakoram Highway all the way from Kashgar to the Khunjerab Pass on the Pakistani border. Our faithful travel companion was a JAC Refine, which is basically a 1997 Hyundai H1 manufactured under license with a JAC logo on the bonnet and the steering wheel, the Hyundai logo still on the back of the van… It was definitely sturdy enough to go through the numerous parts of the ‘Highway’ where we had to go through unsealed terrain as the main highway is in the process of being enlarged. 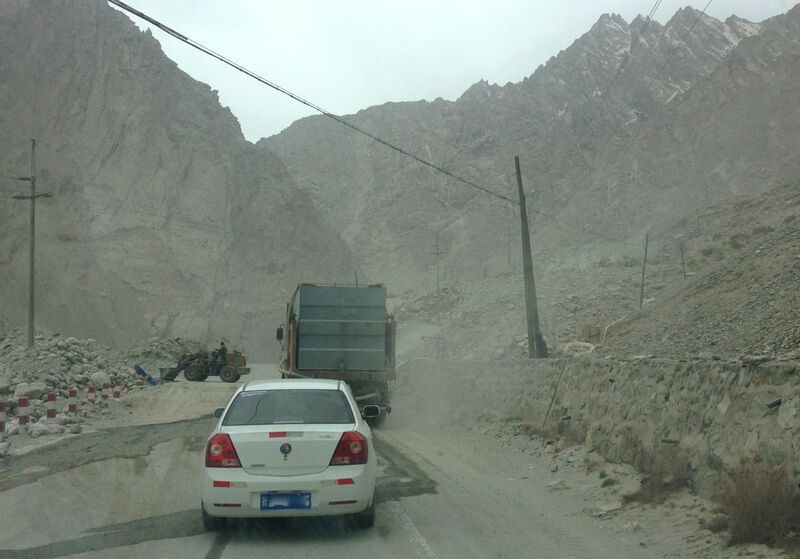 A survey of over 200 cars passing by at the time the Karakoram Highway leaves the Kashgar plain and gets into truly mountainous terrain showed two-thirds of all vehicles on the Highway are… Chinese! Yes this has finally happened, it took going to quite a remote area in the country to see Chinese carmakers take the advantage. 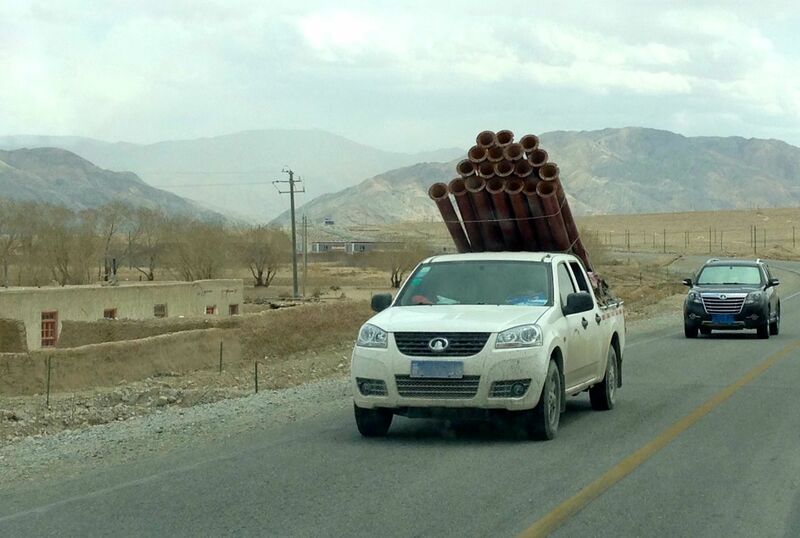 The bustle of Kashgar may be well over and done with, but the Wuling Hongguang keeps popping up in the countryside. In fact it has become pretty much the only new car I saw once getting into truly remote area. The only other relatively new model that appears a few times is the Suzuki Lingyang. 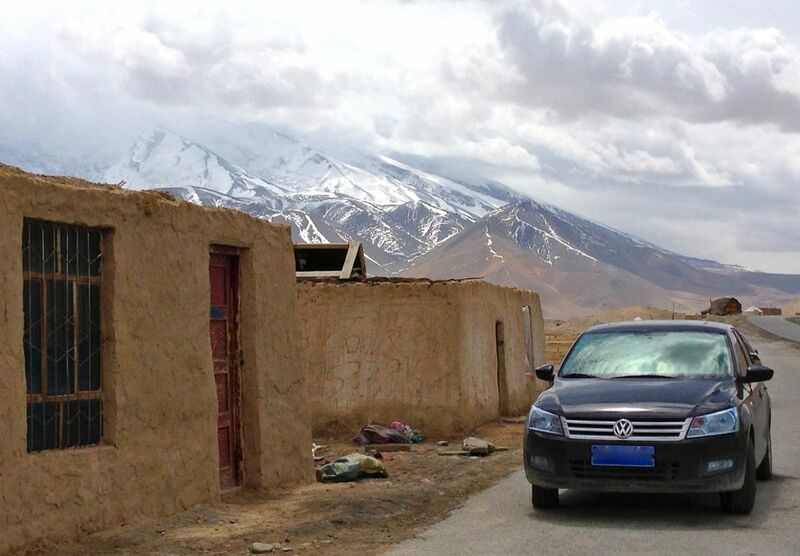 The more remote we get, the more Chinese the vehicles become and the higher the old VW Santana share of non-Chinese vehicles. 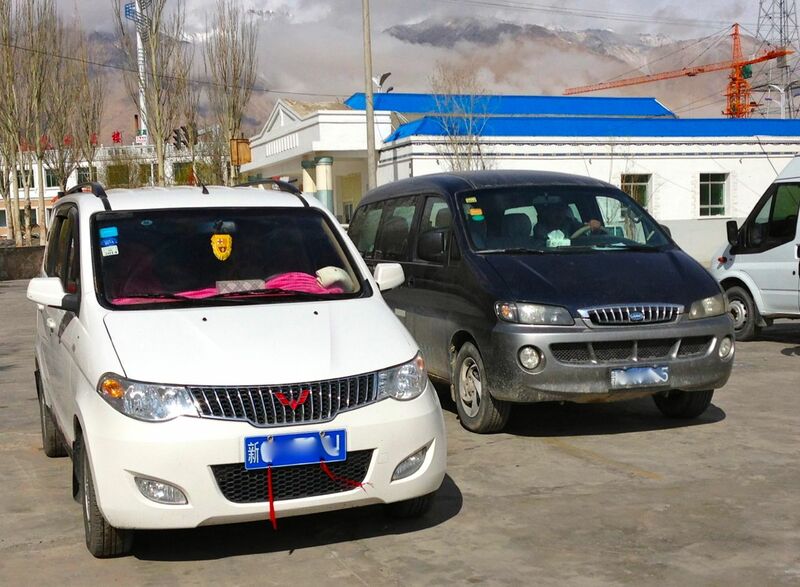 In-between towns on the highway, the traffic becomes almost 100% Chinese with lots of pick-ups, led by the Great Wall Wingle, ZX Auto Grand Tiger and JMC all generations. During the entire 900 km trip, I only saw two new generation VW Santana and two new VW Lavida! I was very interested to spot one police and one military BAW Jeep (see below the ‘Read more’ jump for more), and couldn’t help noticing that most Mitsubishi Pajero I saw were in fact Liebao-branded. The Toyota Highlander is the most frequent large 4WD on the highway, and SUVs are here en masse: Great Wall Haval H5 and H6, quite a few Landwind X8 and 3 Ford Kugas passed us by on the trip. 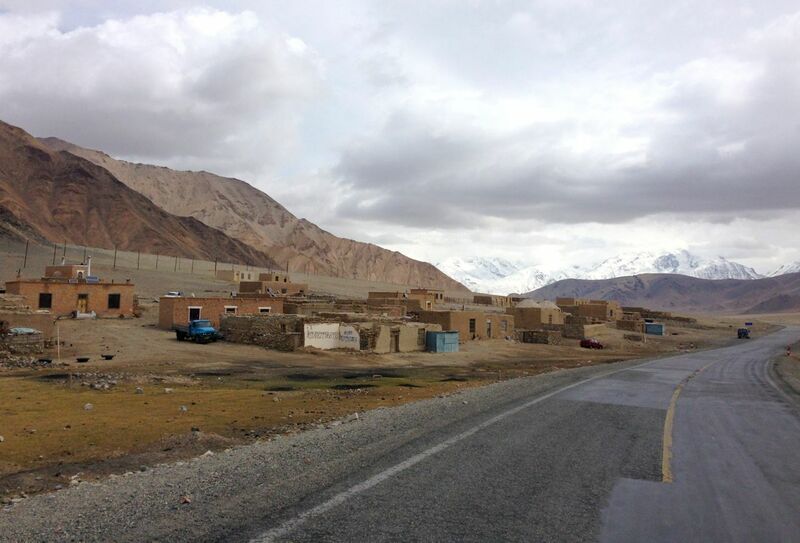 At 3,094m altitude, Tashgurkan is the last town before the border with Pakistan and the head of the Tashkurgan Tajik Autonomous Country populated at 85% of Tajik inhabitants. 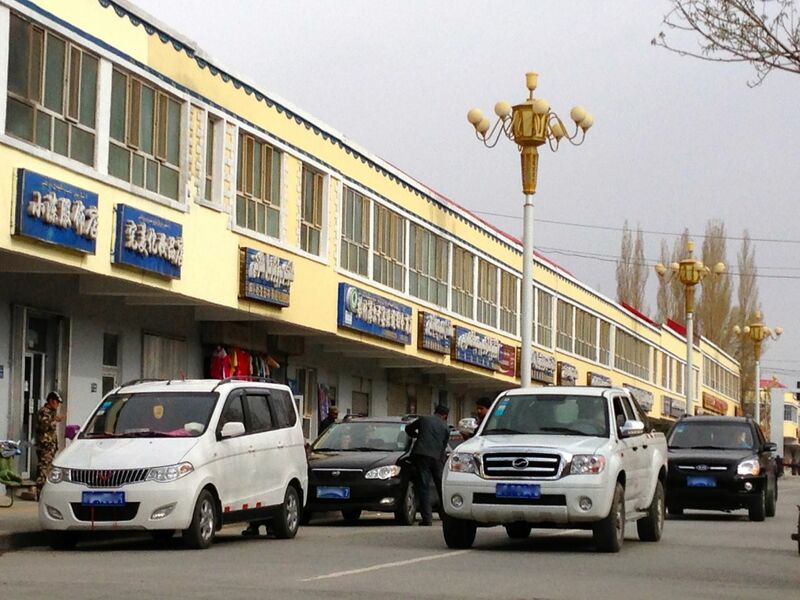 In town the Wuling Hongguang should top the sales charts, followed closely by the ZX Auto Grand Tiger. 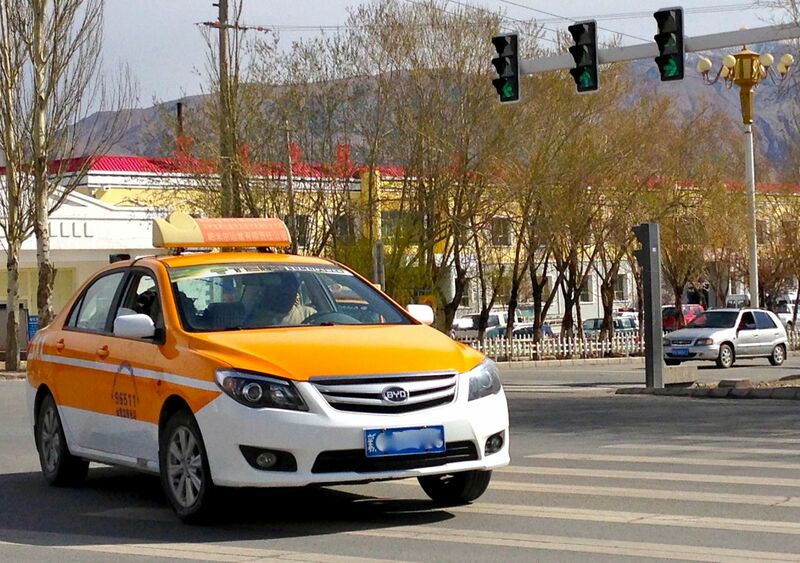 I also saw two Dongfeng Fengguang MPVs which is the most I saw in one town so far, and noticeably more Chery Cowin 2. 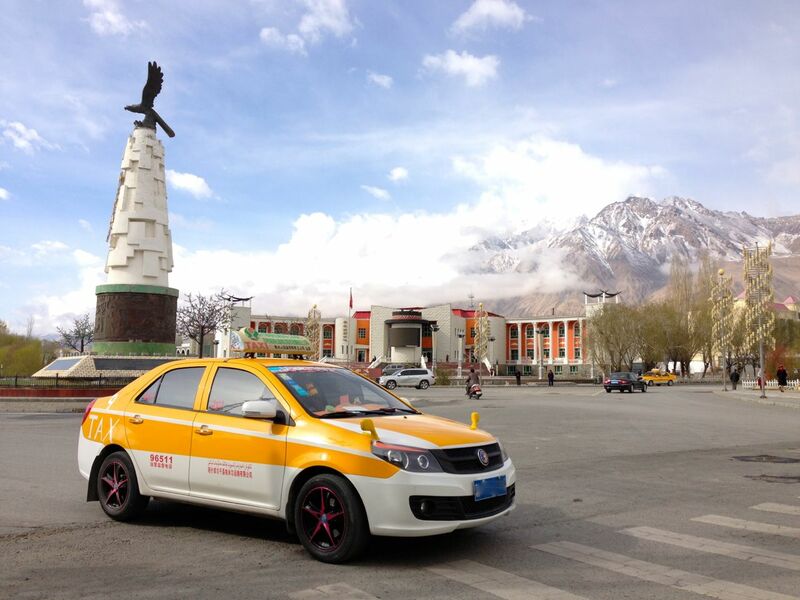 There were also a lot of brightly coloured taxis in Tashkurgan, including many old VW Santana, and a few BYD L3 and Shanghai Englon SC6. Interestingly, by then most old Santanas are taxis, not so many are private in town. There is a very strong heritage of FAW Tianjin Xiali which I have to say is actually quite reassuring as this model was one of the only ones on sale in China for a long time along the traditional VWs, so this is where they all are! The Full Photo Report (31 Photos) continues below.